After a much deserved month off from competitive play, Roger Federer is back on the courts in Dubai, rested, refreshed and playing his beautiful brand of tennis again. He started out his first match a little rusty against Youzhny, but once he found his range he cruised through to his first win with no worries. His match against Verdasco in the second round again started a little slow, going down a break as Verdasco looked to be dominant. All of a sudden, though, everything seemed to click for him. He not only broke back, but he went on to win 20 points in a row, closing out the set in supreme fashion. The way he was hitting the ball to me looked so clean, aggressive, dominant, and basically just amazing. When Roger is in full form, playing with confidence, it would hard to find anyone who could beat him. And most definitely there is no one on planet earth who has such a beautiful, graceful, free flowing game. Simply a joy to watch. I really enjoyed some of the pre-match commentary on Tennis Channel with former coach Paul Annacone and Tracy Austin. It's always a pleasure to listen to Paul, and especially when he's talking about Roger, since he knows him so well and has a different perspective, having worked so closely with him. He and Tracy were both talking about what a quality guy he is, and that what we hear about him and how he is off court, giving of his time, so friendly, etc., is absolutely true, and even more so. Tracy said he goes out of his way to go up and talk to people, asking questions about their lives. What a testimony for our #1 guy! 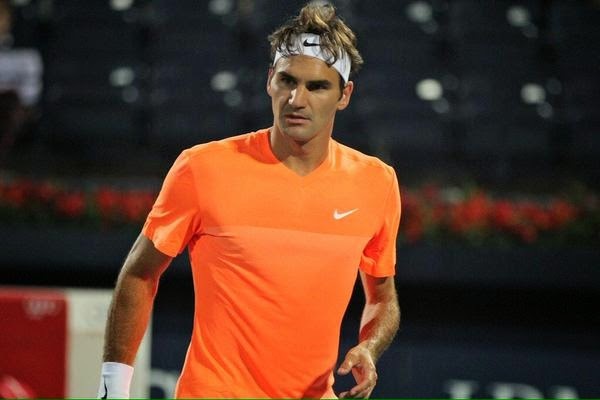 Roger will continue his quest of a record 7th Dubai title when he takes on Richard Gasquet in the quarterfinals.